First Aid Kit General Purpose. Comes in white water-tight box. 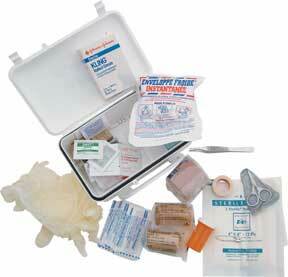 Holds an assortment of bandages, wraps, ointments, etc.